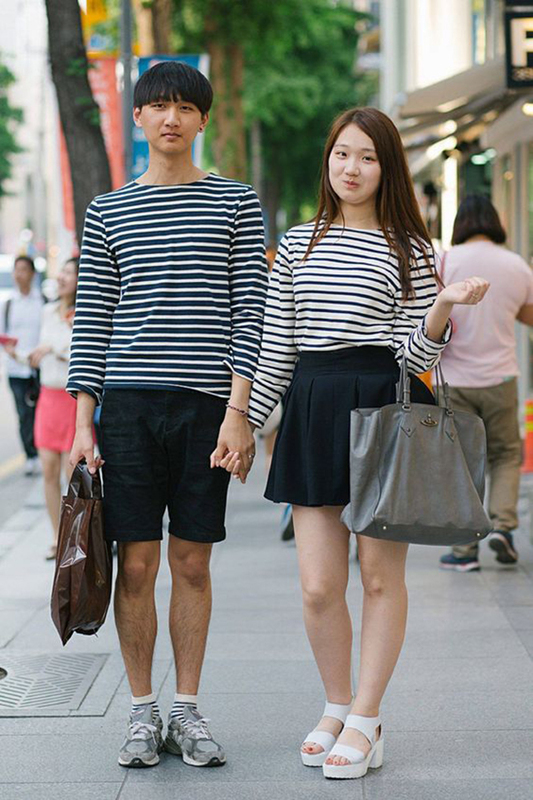 Gone are the days where couple outfits were matching His & Hers T-shirts with one-half of a heart plastered on them. 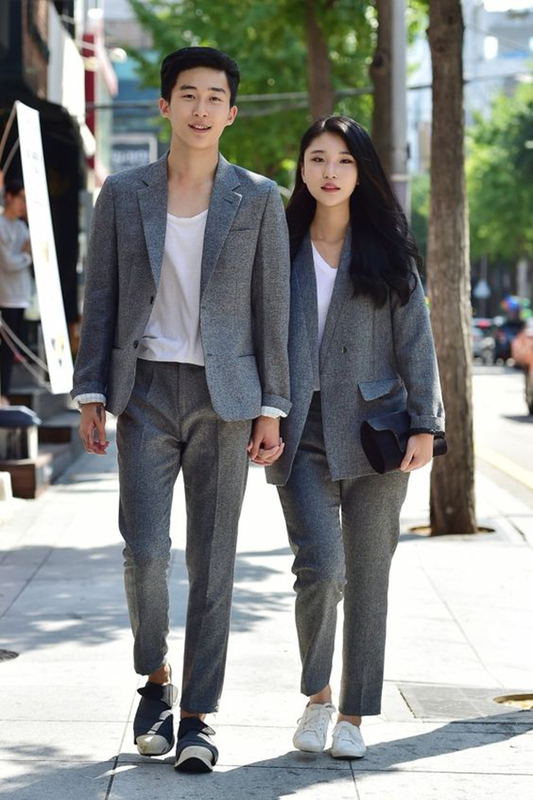 Today, couple outfits are tastefully coordinated and much less of an eyesore for passersby. 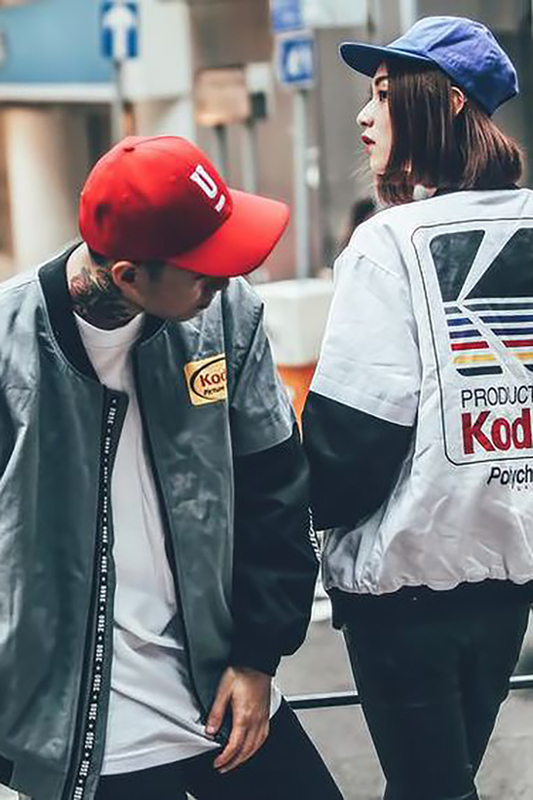 With Valentine’s Day around the corner, we decided to look to Korea, the birthplace of the couple outfit trend, to find replicable looks for Singaporean couples to try out. A staple in everyone’s wardrobes, the striped shirt is gender-neutral, easy to match, and something your boyfriend won’t be embarrassed to wear with you. 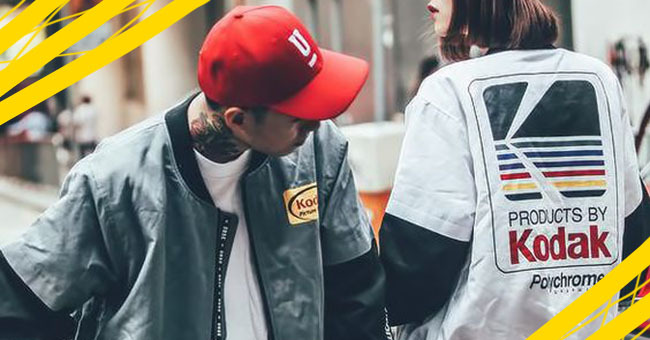 For the hypebeasts and hypebaes, wearing matching bomber jackets can take your streetwear game up a notch. Flannel shirts are great for layering when the weather gets a little chilly. But if you don’t have any, you can always dive deep into your boyfriend’s closet for a spare shirt. For a more form-fitting look, pair the oversized shirt with skinny jeans. You don’t have to wear the exact same design to be #twinning. Pick neutral basic tops within the same colour scheme to switch things up. For extra pizzazz, wear metallic kicks to complete the look. For days when you’re feeling bright and bold, opt for matching patterns that can be toned down with monochrome accessories for a more wearable look. Alternatively, the more adventurous souls can pick the same pattern in various sizes. You can never go wrong with an all-black ensemble, but an added splash of colour can make both your outfits pop. Pick your favourite colour, wear accessories in said shade, and you’re good to go. Look every bit the power couple with a smart and sharp monochrome two-piece suit that will carry you from the office to the bar. 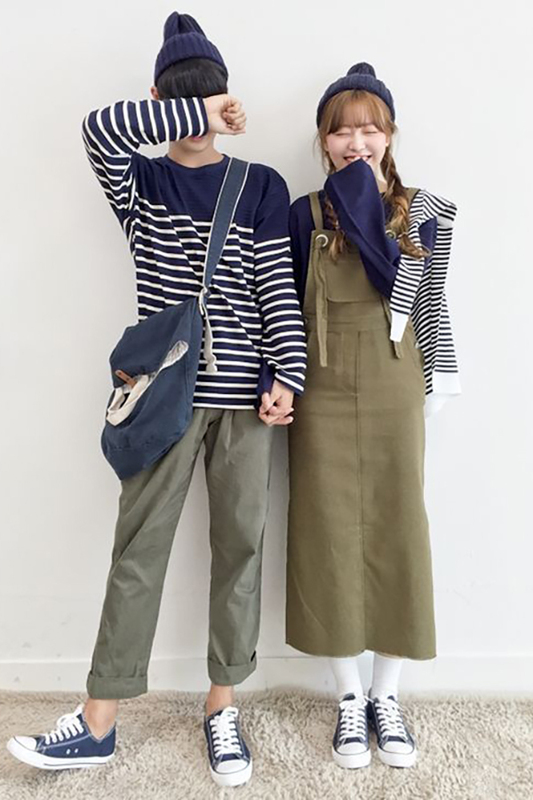 Instead of going for the typical white-shirt-blue-jeans couple look, pull on a pinafore dress for a more feminine vibe to match your boyfriend’s denim jeans. If you can’t find similar clothing to wear, match accessories such as hats, shades and shoes instead. 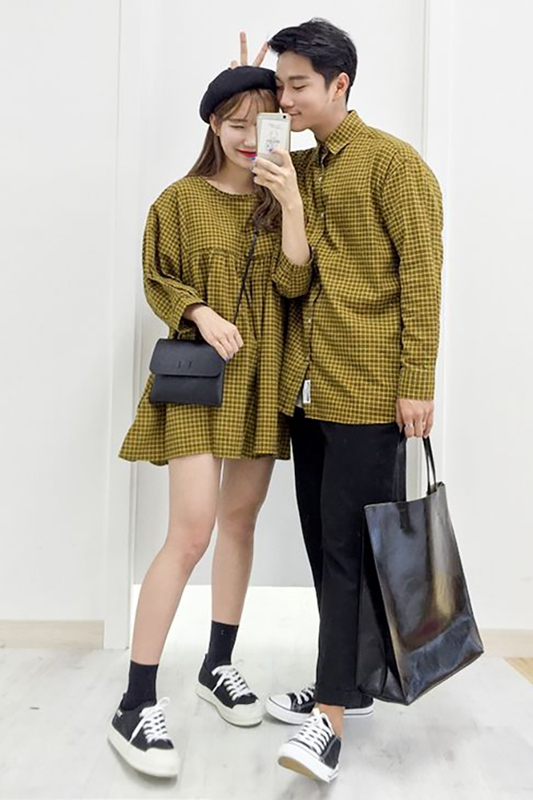 Even if you and bae aren’t the PDA-sort, you can still declare your relationship through matching outfits without having to risk getting stares and “tsks” from single people.